The Champs-Elysées Cristal Hotel, within walking distance of one of the most beautiful avenues in the world, has been designed using the most modern and contemporary of touches, perfectly embodying true Parisian luxury. With the Cristal, Mattia Bonnetti and architect Philippe Medioni have launched a new concept in terms of boutique hotels. 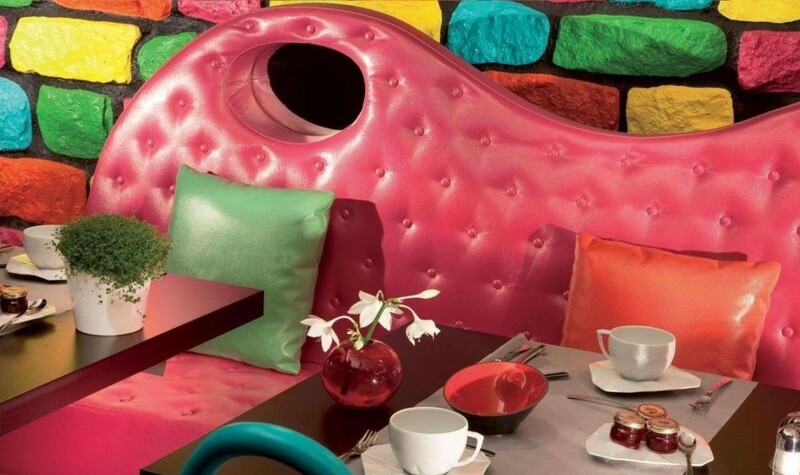 Bold colours and high-quality materials have been used to create the most contemporary of ambiances. This unique hotel, entirely dedicated to luxury, is situated on Rue Washington, only 50 m from the Champs-Élysées: a veritable jewel, surrounded by luxury boutiques, in one of the most prestigious areas in Paris. In choosing this establishment, you will be ideally situated for all your business trips and sightseeing visits. Ask your Paris Webservices advantage : A bottle of Champagne in your Room!